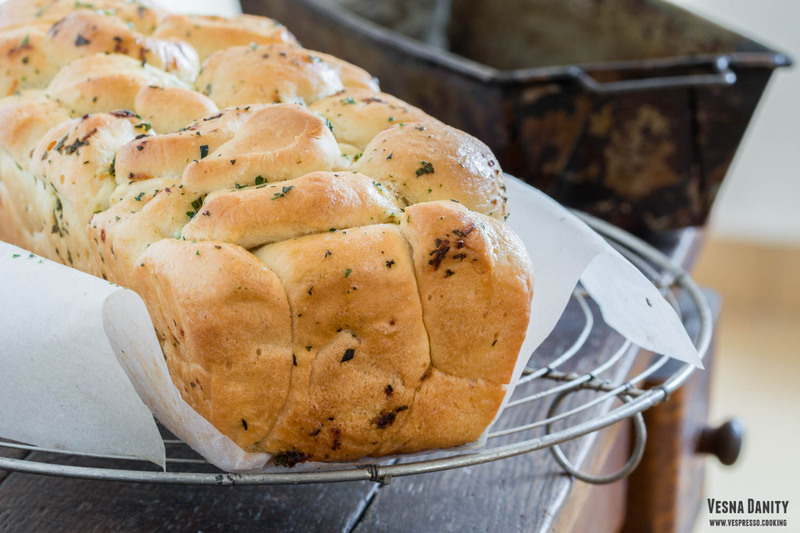 This flavorful pull-apart bread is by far my favorite kind of bread. It is so soft and airy and I can’t even begin to describe how wonderful it tastes. 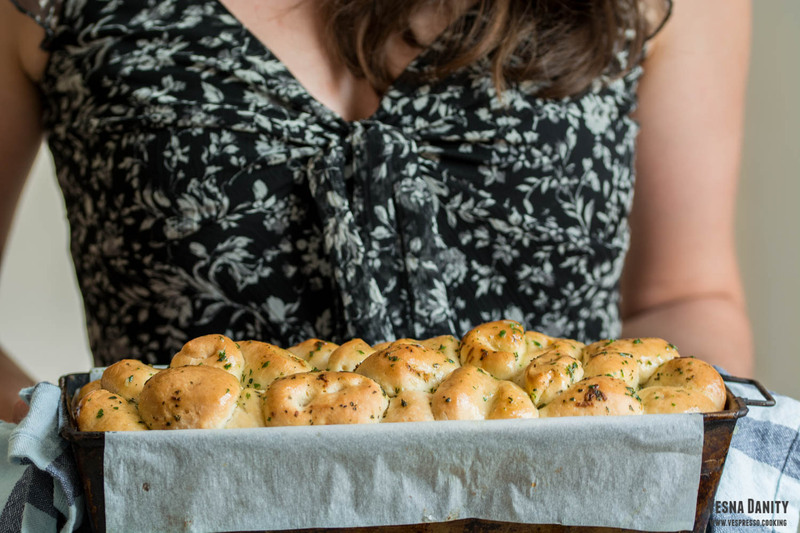 Although it may look fancy, it is in fact very easy to make. 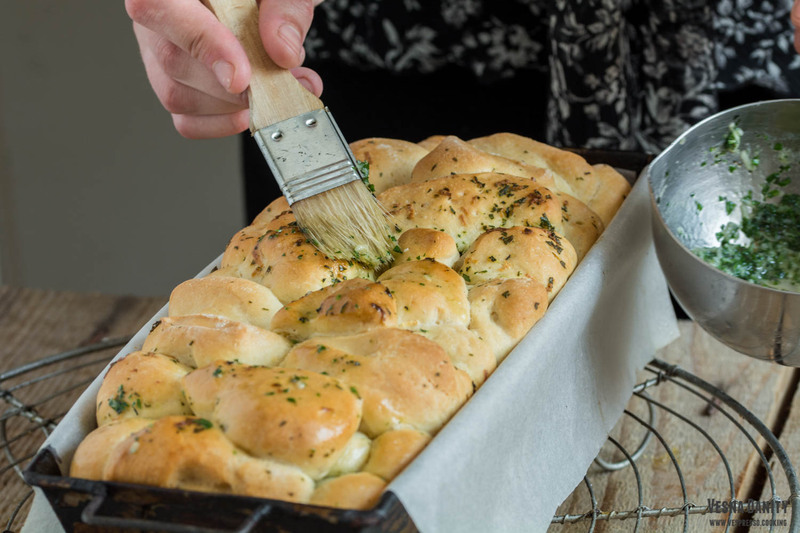 If you have a bit of extra time on your hands, you can make this beauty from scratch, using just a few budget-friendly ingredients. Not to mention the fact that you don’t need a knife to slice it, you just tear it apart. This loaf is the piece de resistence that you proudly place in the middle of the table during a dinner among friends. You just have to sit and enjoy how everyone tears it apart, piece by piece. This loaf obviously has the wow factor, but it is also extremely delicious. 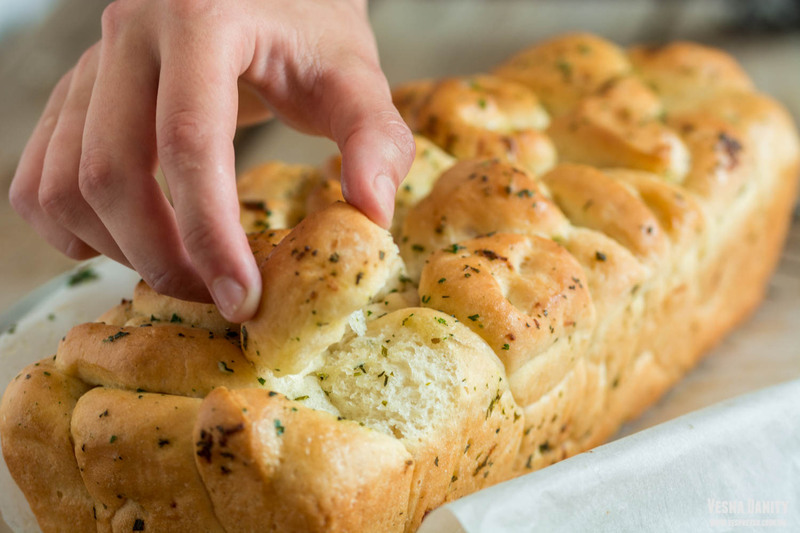 It’s something inexplicably satisfactory about tearing it into pieces, pieces that simply melt in your mouth and delight you with a buttery roasted garlic aroma. 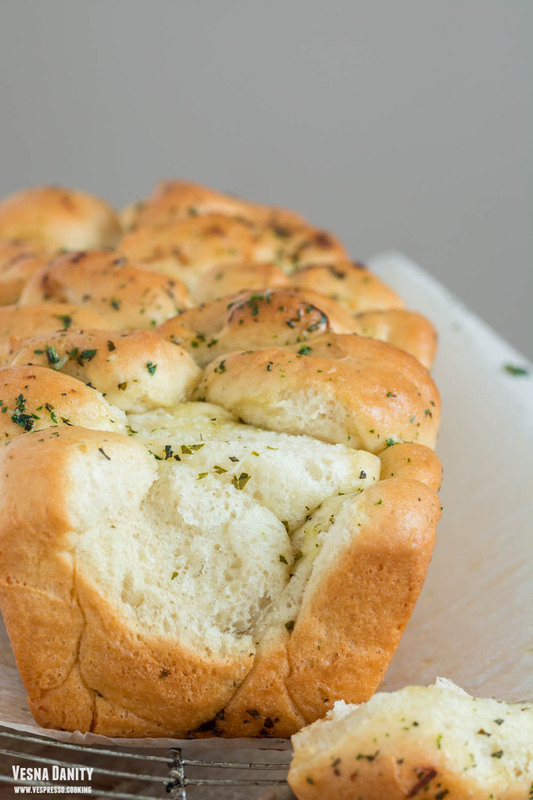 This bread is simply madness! In a small bowl combine water, sugar and yeast and let aside for 10 minutes. After 10 minutes, the mixture should be frothy. 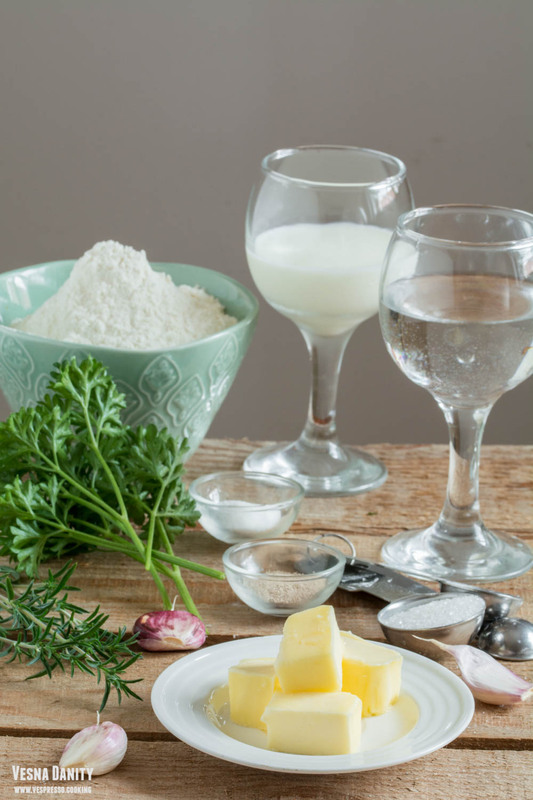 In a small saucepan combine milk with 1 Tbsp of butter and heat it over low heat until the butter has melted. 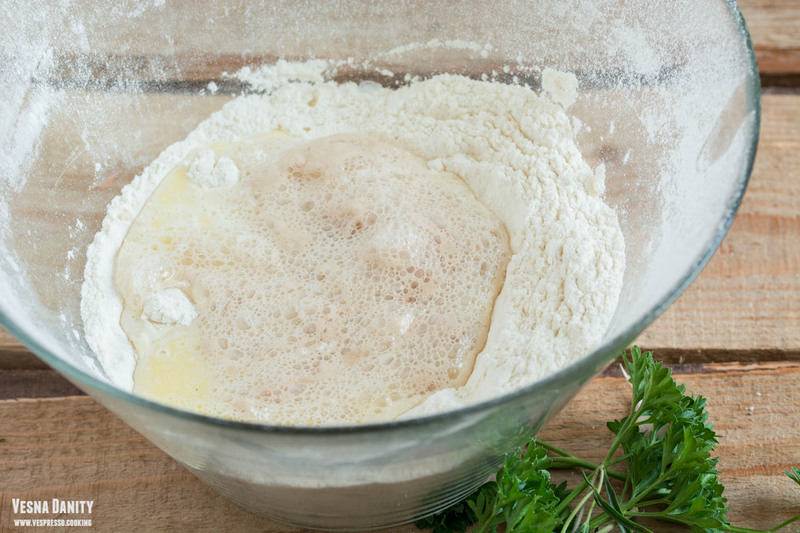 In a large bowl combine white flour and salt and make a well in the center. 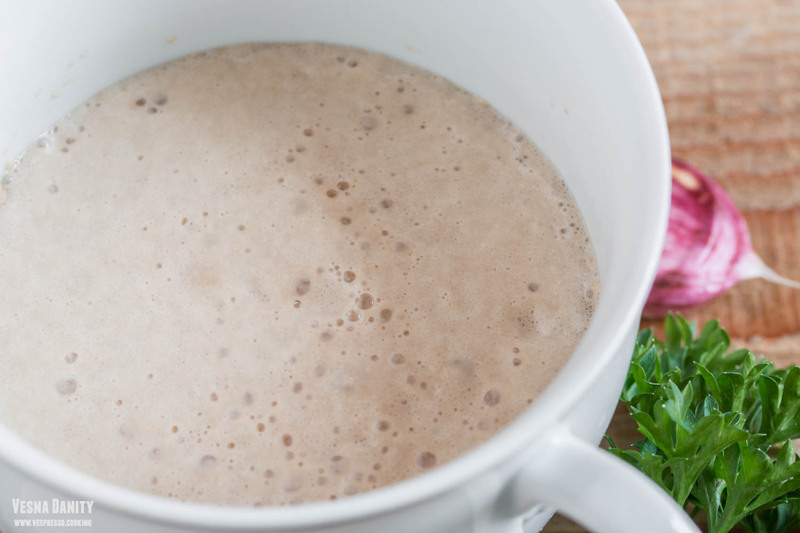 Add the yeast mixture (point 1) and the milk mixture (point 2) and mix with a wooden spatula until you form a ball. 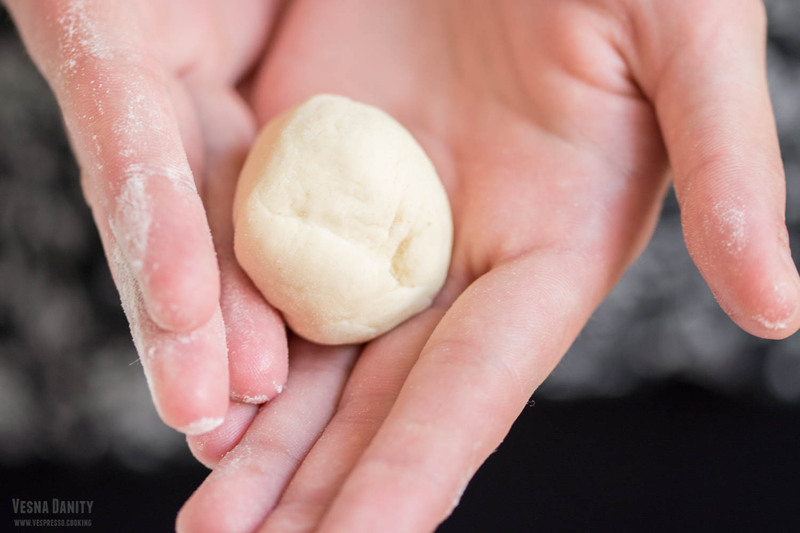 Bring the dough on a floured working surface and knead it for 5 minutes. 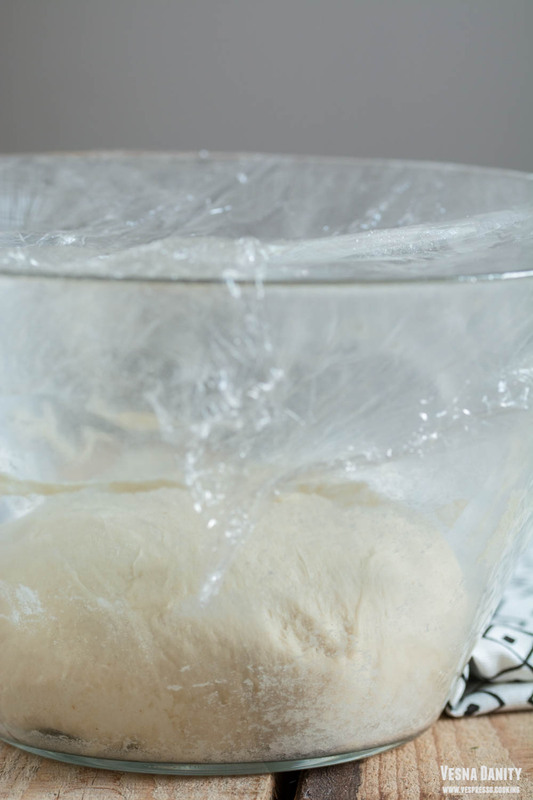 After 5 minutes, the dough should be smooth. Place dough in the bowl, cover with a clean towel and let it rise in a warm place for about 50 minutes (or until doubled in size). 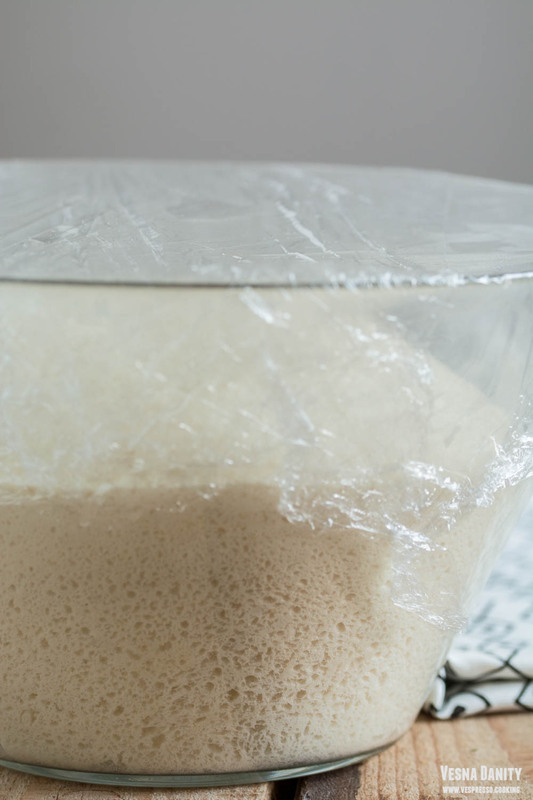 After 50 minutes, place the dough back on the working surface and knead vigorously to knock out the air bubbles. 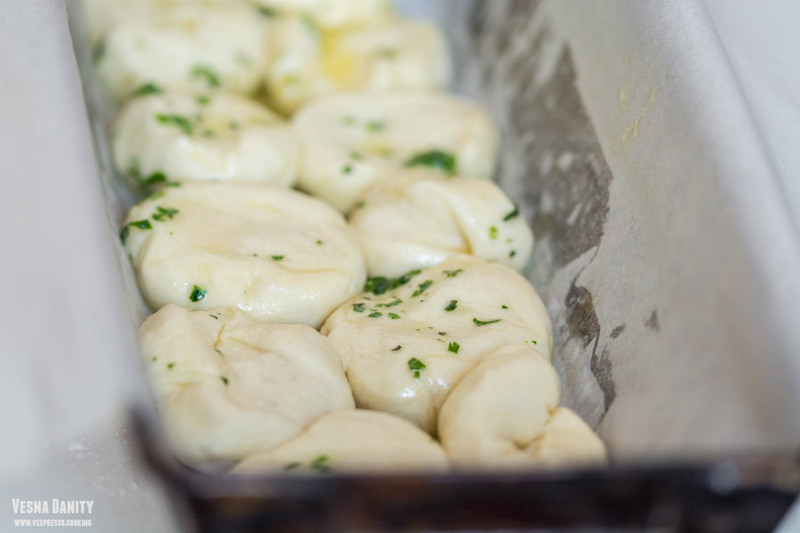 Divide the dough into 4 pieces. 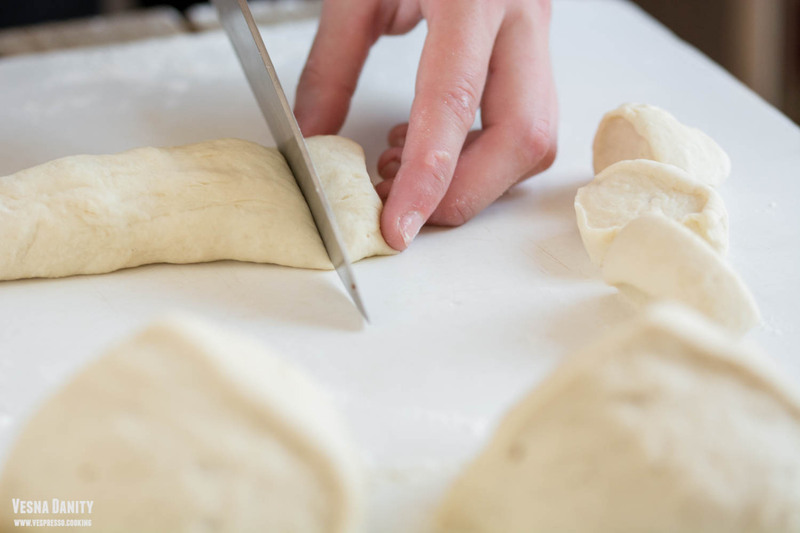 Elongate each quarter of dough with your hands. Cut each elongated piece into 12 smaller pieces (picture). Take each small piece and give it a circular shape using your hands (picture). 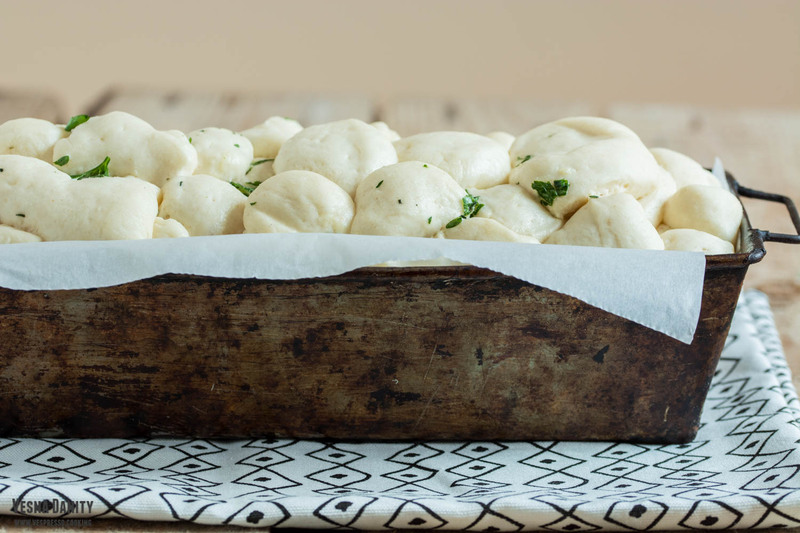 Line a rectangular loaf tray with parchment paper. Melt the remaining 3 Tbsp of butter in a small saucepan. Add the minced garlic and the chopped herbs. 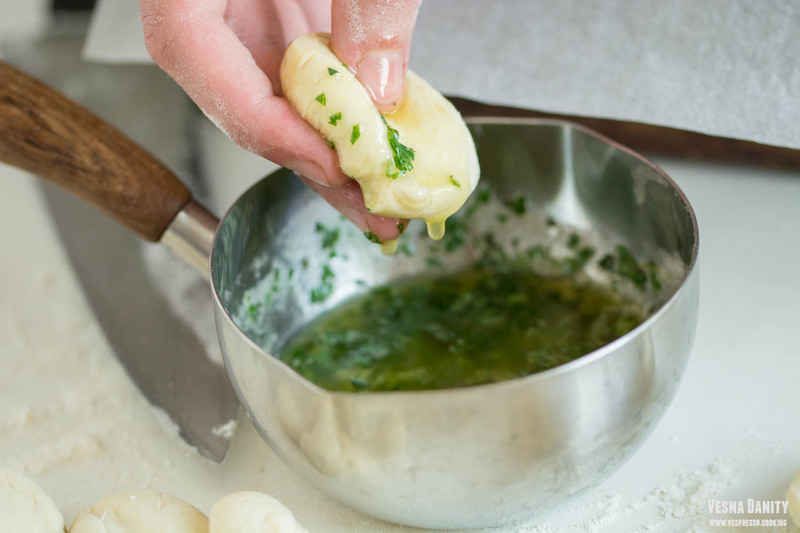 Dip each dough circle into the butter mixture and shake off the excess (picture). Cover the bottom of the tray with the first layer of circles of dough. Proceed the same until you use all the dough. Preheat the oven at 180°C / 350°F (gas mark 4). 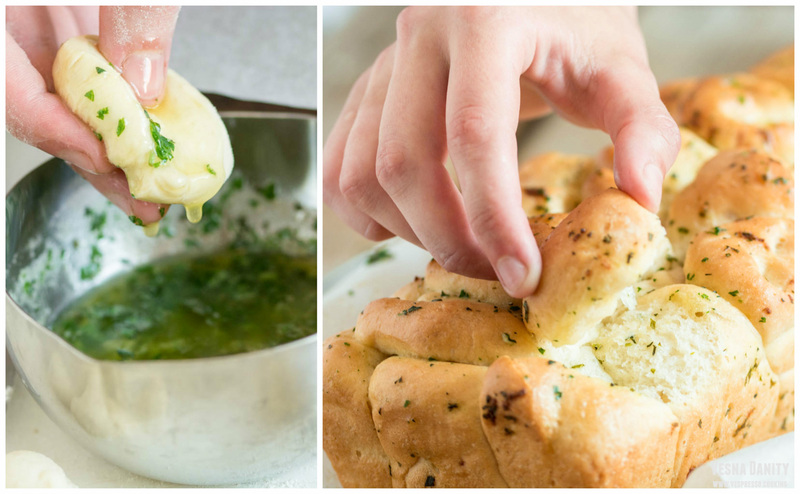 Cover the loaf with a clean towel and let it rise for 40 – 50 minutes (picture). 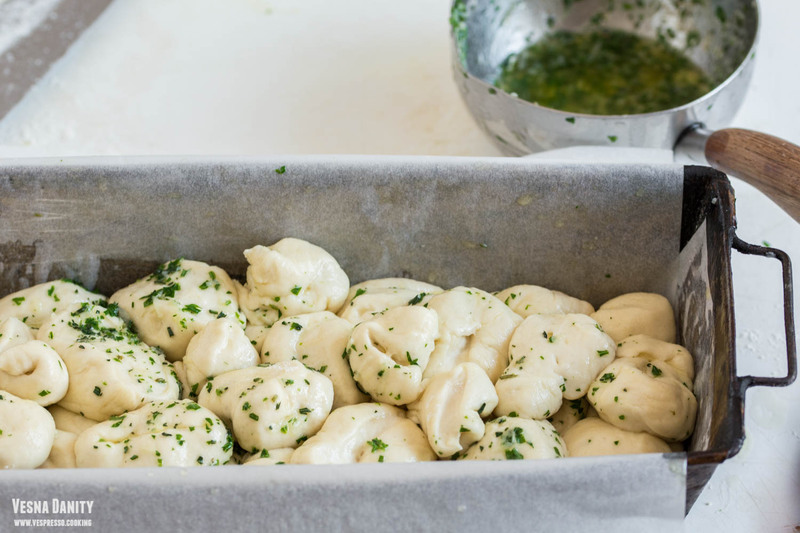 Bake it in the preheated oven for 30 minutes or until golden brown and fragrant. 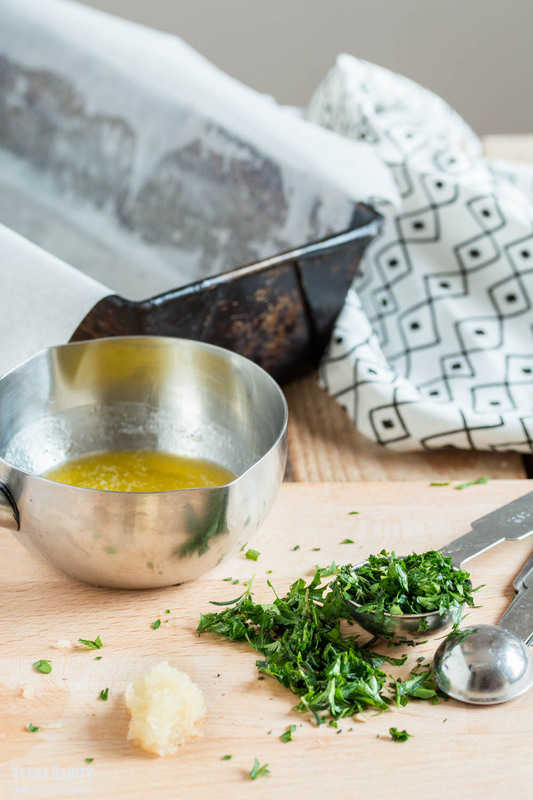 Brush it with the remaining herbed butter (picture). 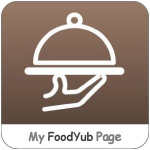 Carefully place in on a wire rack to cool down for at least 10 minutes before serving.